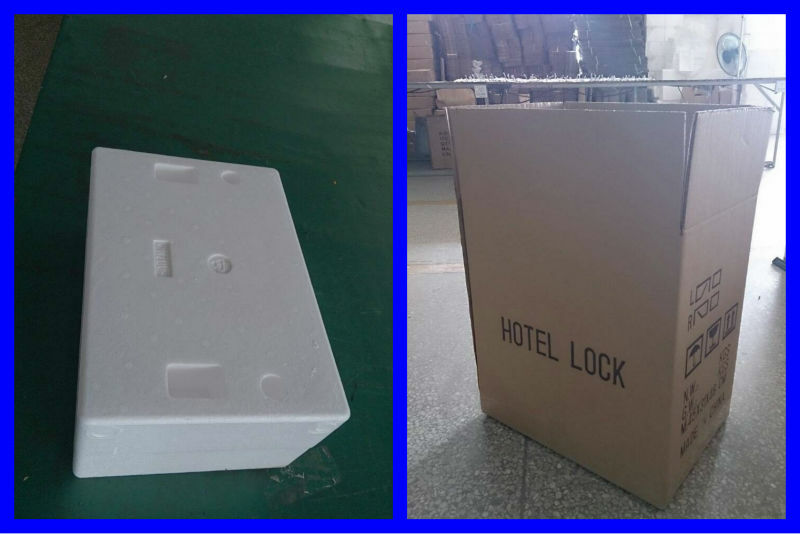 each lock in a foam box, and 6 boxes in a carton. 1. New fashion design, practical and beautiful. 2. 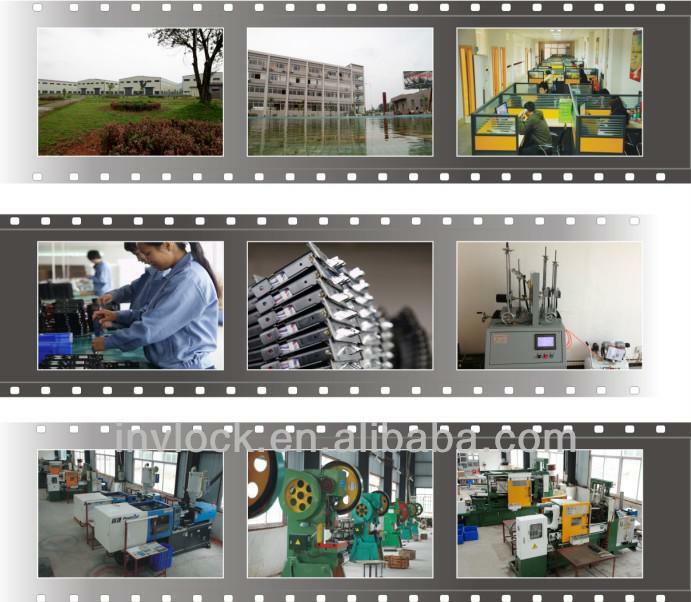 Zinc alloy panel, PVD finish process, fadeless, eternal quality. 3. Turn handle up to deadbolt lock at inside and outside. Convenience and simplification. 5. 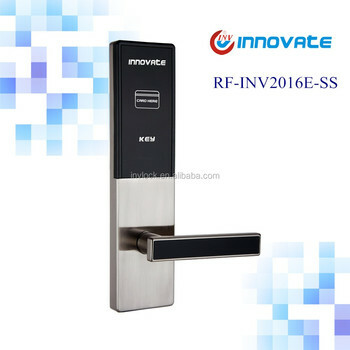 Advanced and free door lock management software. 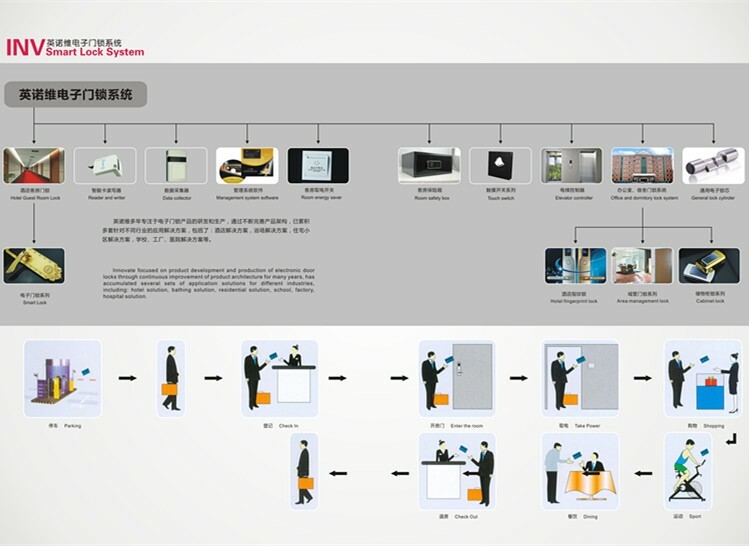 We supply a whole system service for hotel, apartment, office, home etc.